The Fleet Suite is just one of many purpose-built conference and meeting facilities. The building is well connected, close to Fenchurch and Canon Street train stations, Aldgate underground and Tower Hill DLR station. 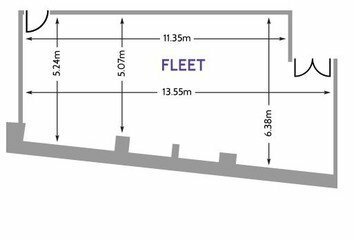 The Fleet Suite has 70m2 capacities of: 36 (boardroom), 50 (classroom), 60 (dinner), 100 (theatre) and 36 (U-shape). The space features a podium, PA system, projectors and enjoys natural light from skylights above. 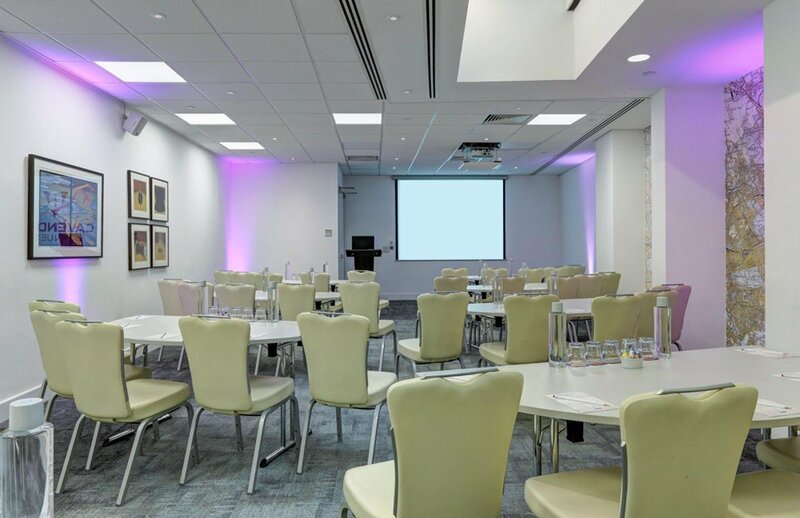 Offering perfect facilities for training and conferences, the Fleet Suite is a ideal for medium-sized business events, as well as networking and press events. The price advertised includes still and sparkling water, wrapped sweets and stationary for delegates. (Please note the price does not include VAT). Video conferencing and recording equipment is also available to hire at extra cost. Through Spacebase, you can also hire space in our 4 other conference and meeting rooms. Our central location and state-of-the-art amenities make it one of the best places in London for corporate events and meeting room hire.